Want your walls to look unique, as well as serving a purpose beyond their basic function? Then here are 7 fresh ways to infuse your walls with loads of personality and style! From a large TV unit to built-in fireplace, expansive bookcase to movable room divider, your plain wall can be given a facelift which will make your guests envious. Read on to see how to make the most of your walls—and how to give them a distinctive look! 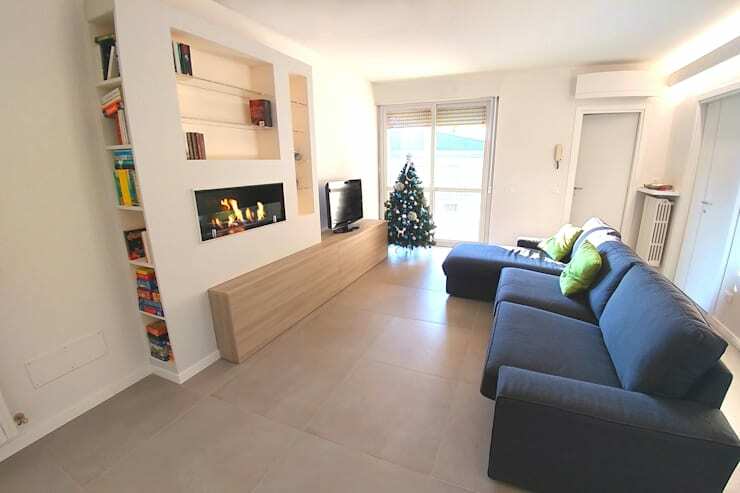 The architects at Valeria Lie have created this awesome wall unit which combines sleek shelves, a neat recessed fireplace and a smooth platform for the TV. Crafted from wood, the unit has been partly painted white to complement the walls of this living space. Don’t miss the shelves on the left of the unit, which are hidden from plain view but hold tons of books. 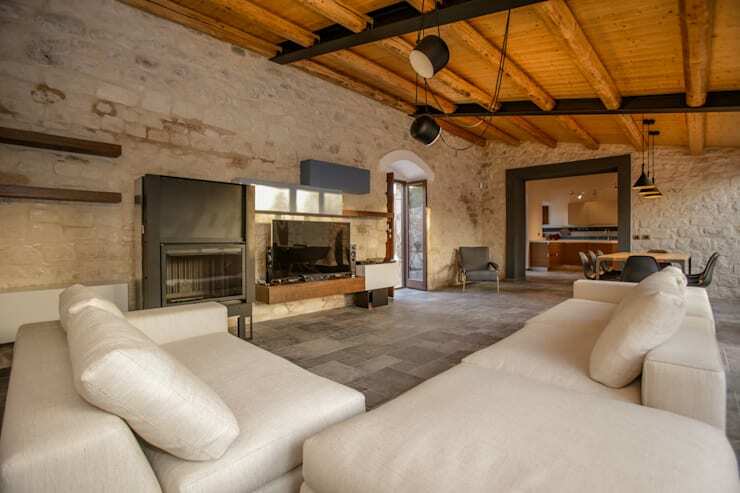 Stone walls and a warm wooden ceiling make this living room charmingly rustic, while the black metal fireplace adds an industrial touch. The wall-mounted TV unit is a composition of several glossy and simple cabinets and complements the modern white sofas. The feature wall and trendy staircase have come together in this living space for a uniquely stylish statement. 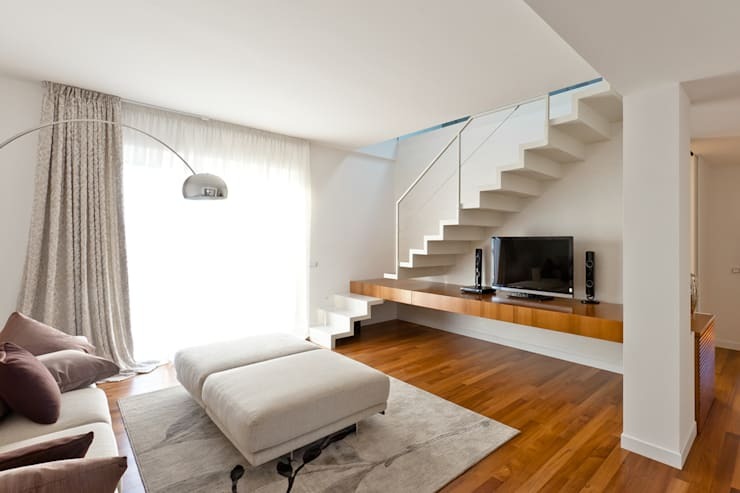 A sleek, long and wall-mounted wooden table holds the TV and goes well with the minimal look of the stairway. The perfect solution for a small home! Utilising corners in small homes is very important, and incorporating this sleek and dynamic wall system can be a fabulous way to do so. While the bottom shelf supports the TV, the shelves higher up can hold decorative pieces or family photos. By painting the right-hand wall grey, a trendy look has been achieved. Rendered in dark wood, this simple yet elegant wall system not only features numerous shelves and accommodates the TV, but also acts as the railing for the staircase. The many shelves and white cubbies come in handy for displaying showpieces or organising knick-knacks. If you're lucky enough to own a space with double-height walls, then go for a stylish floor-to-ceiling shelf as shown here. 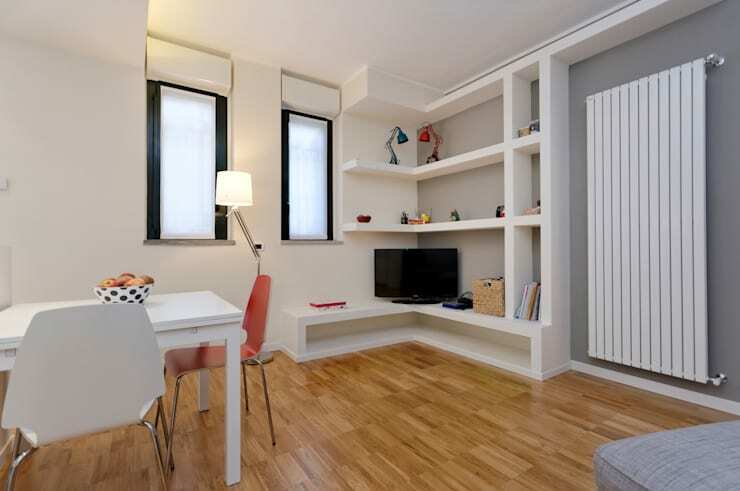 It can incorporate the TV unit and hold tons of books, DVDs and decorative pieces. Note how the shelf has been painted white to complement the white walls and floor. Had it been in a dark hue, it would have overwhelmed the eye. Unique and flexible, this wall system rests on wheels and can be moved from one place to another depending on where you want to watch the TV. 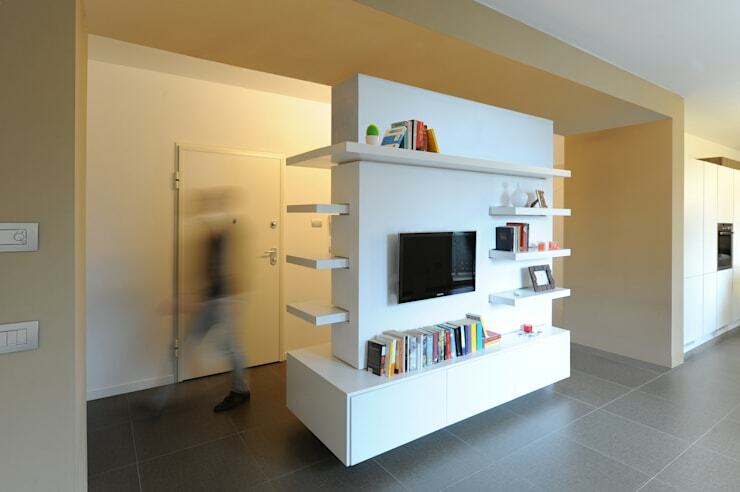 Fitted with sleek floating shelves, it caters to organisational needs as well. 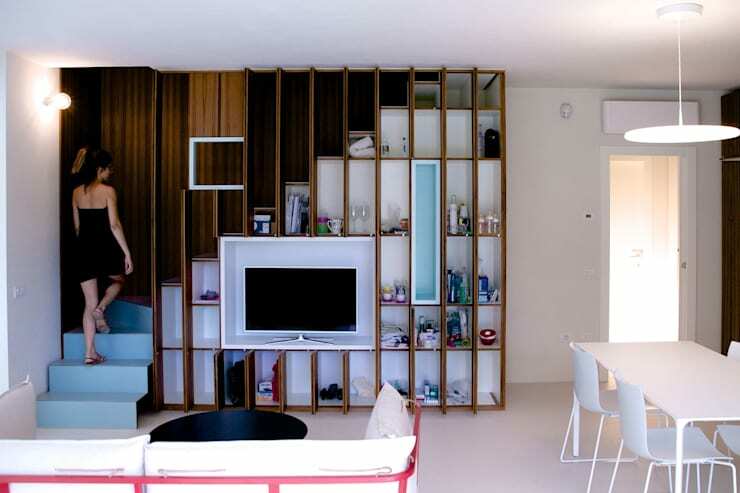 It also acts as a stylish room divider and lends subtle privacy. Which of these wall ideas inspires you the most?